Q. 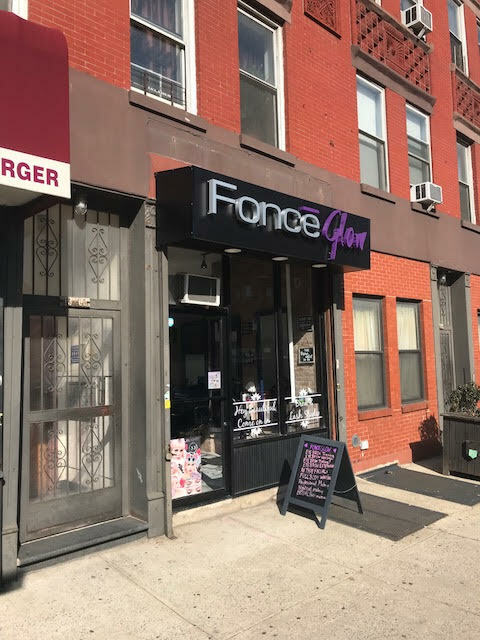 Tell us about FonceGlow. A. FonceGlow started in 2013. At FonceGlow, beauty is in our DNA. We believe every stroke, swipe, and dab reveals possibility. We take Beauty, Flawless Skin and Empowerment seriously. We share our guest’s love for the confidence a beauty session can bring. FonceGlow encourages bold choices in Beauty and in life with the purpose of inspiring fearlessness. Q. What kinds of services do you provide? Q. Why did you pick Court Square to open your business? A. The broad, diverse community in Long Island City attracted us the most. Long Island City feels like home with our vision of making bold choices in beauty and in life! Q. Can you give us your contact information? A. We are located at 13-03 Jackson Avenue, and are open 7 days a week. From Monday to Saturday, we are open 10 a.m. to 8 p.m. On Sundays, we are open 11 a.m. to 6 p.m. Call us at 929-463-3650, email us, or visit our website.